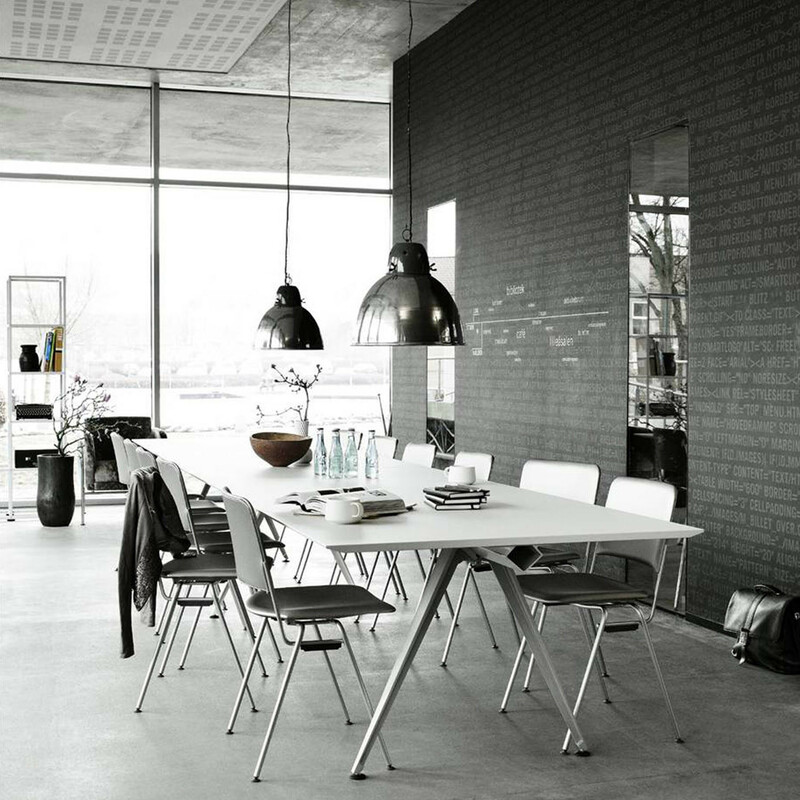 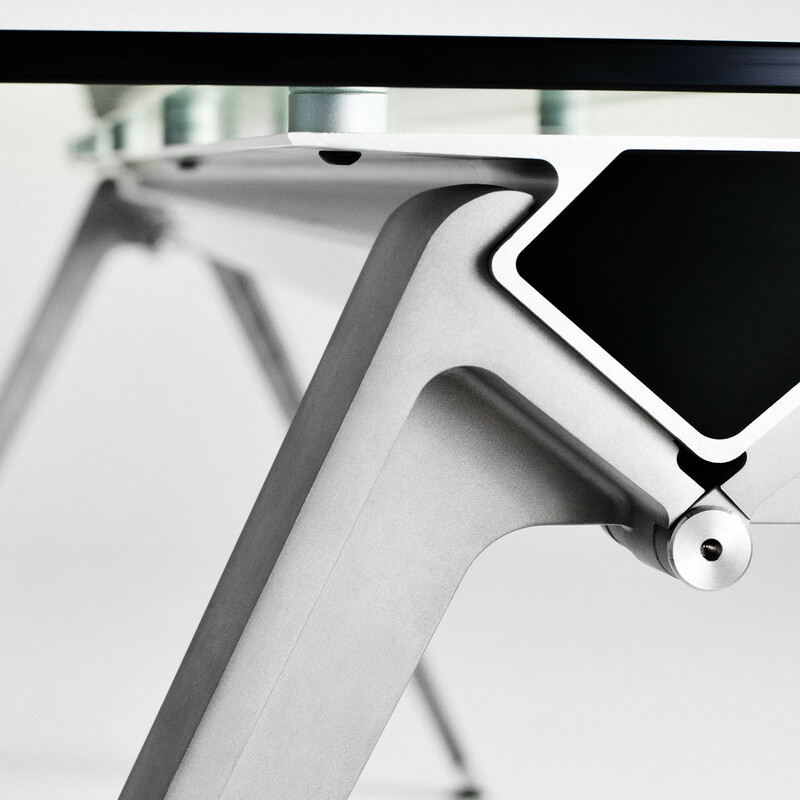 Grip Meeting Table was inspired by tightrope walkers who balance by means of a long pole - thus the top balances on a narrow beam supported by cast aluminium legs. 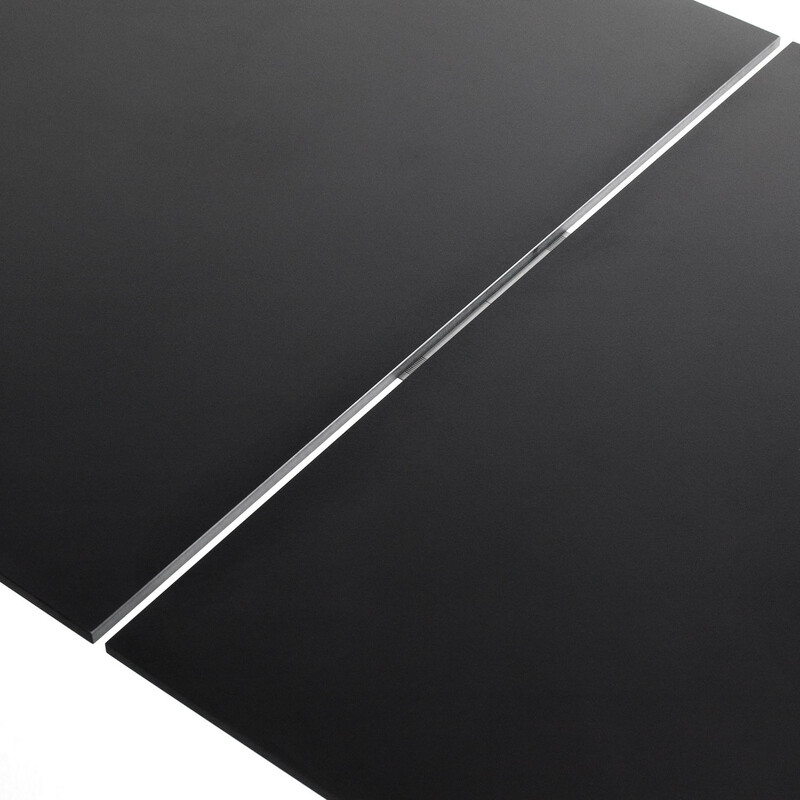 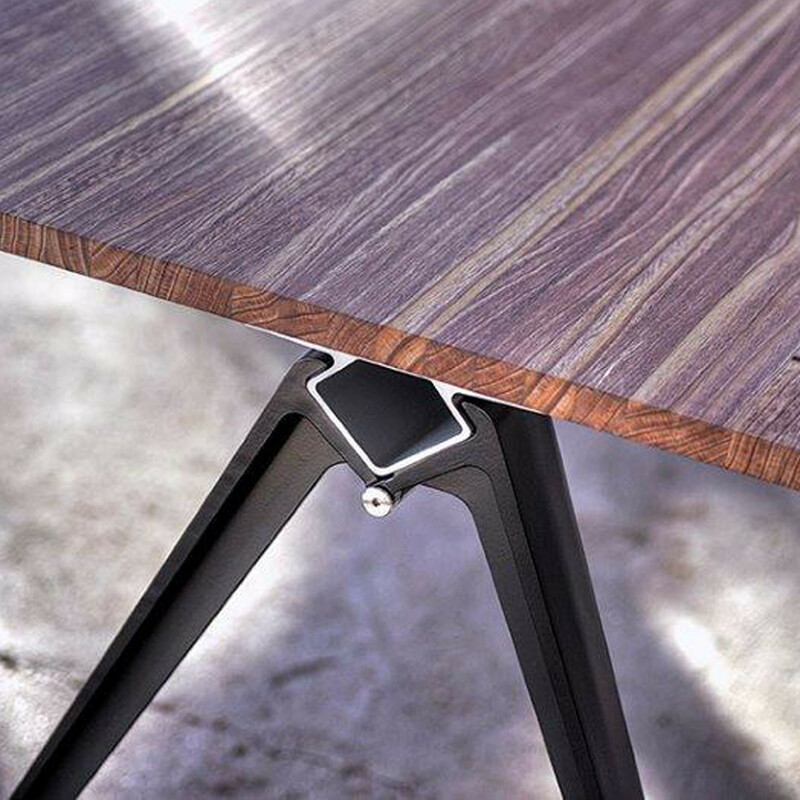 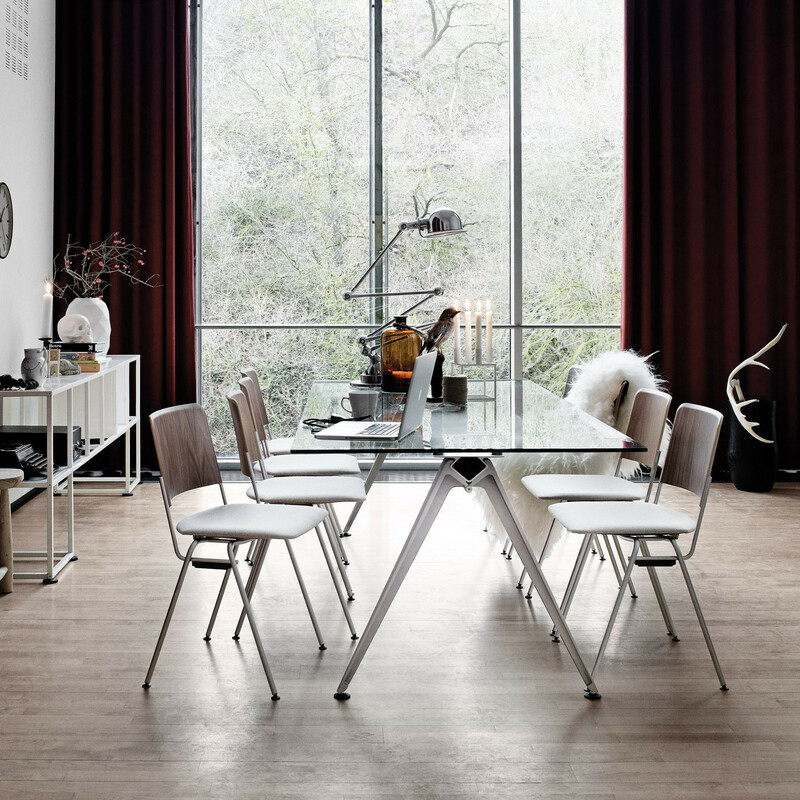 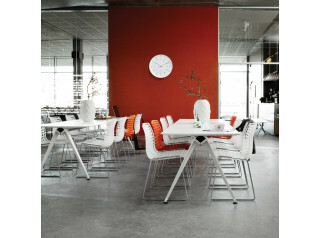 The Grip table can be delivered with an inset beam allowing seats at the ends of the table. 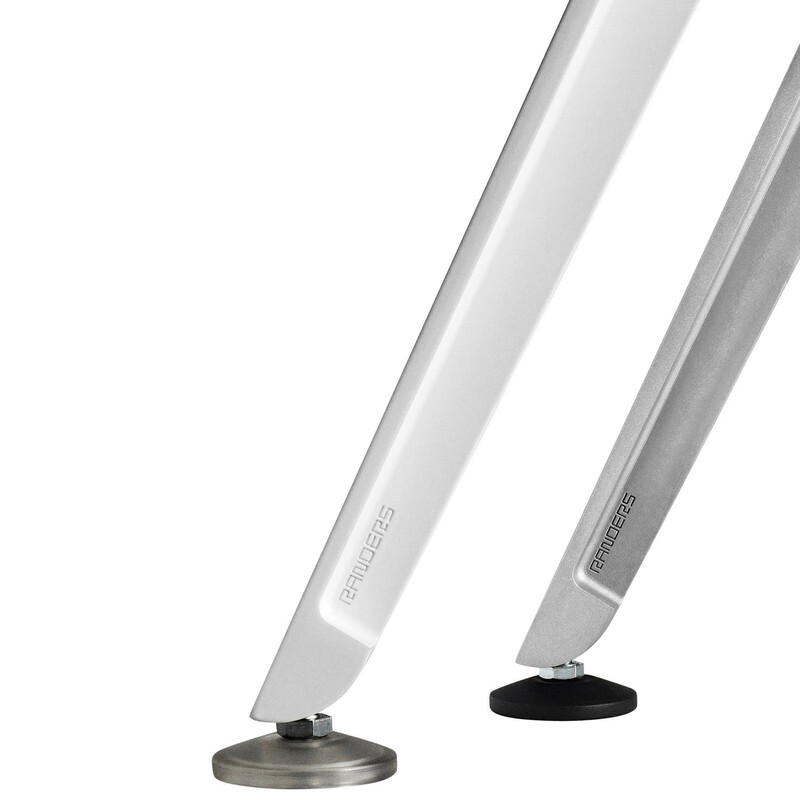 This weight bearing beam provides a unique opportunity for a long meeting table of up to 5 metres with only 2 pairs of legs. 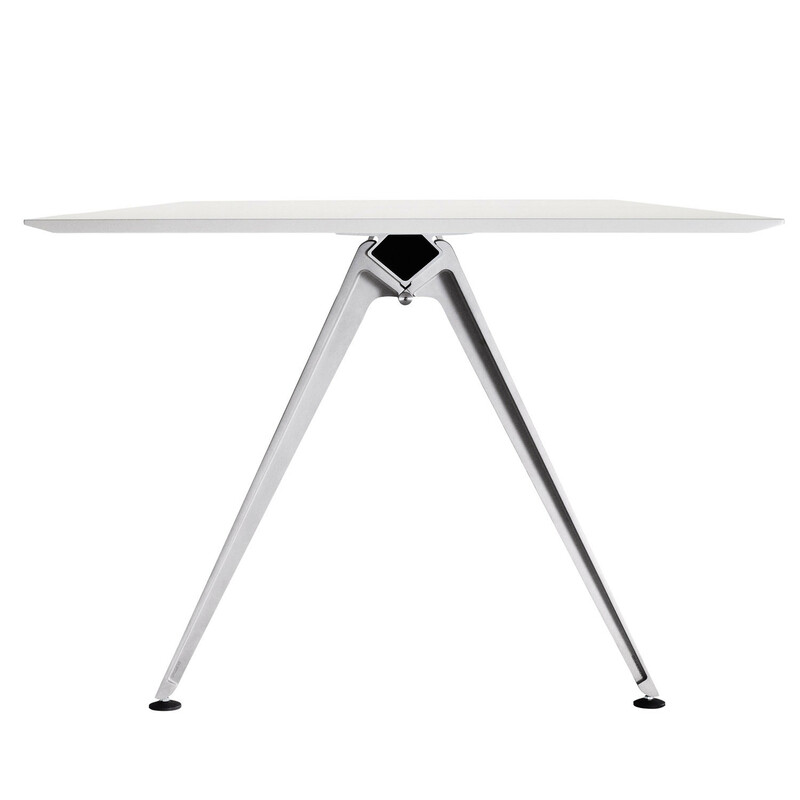 Grip is a generous meeting table, a modern and practical canteen table, a long impressive conference table, a flexible, mobile working desk... A universal table suitable for all purposes. 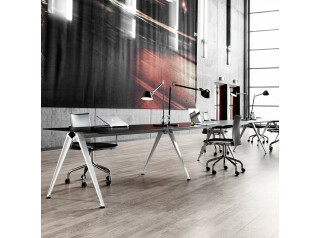 The Grip Meeting Table comes in various lengths with a width of 108 cm and with a choice of table tops in compact laminate, laminate or linoleum in various colours. 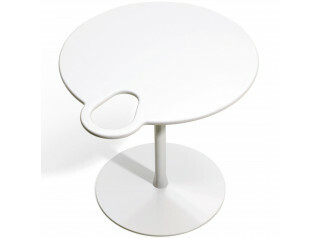 See also Grip Basic Table and Grip Tables. 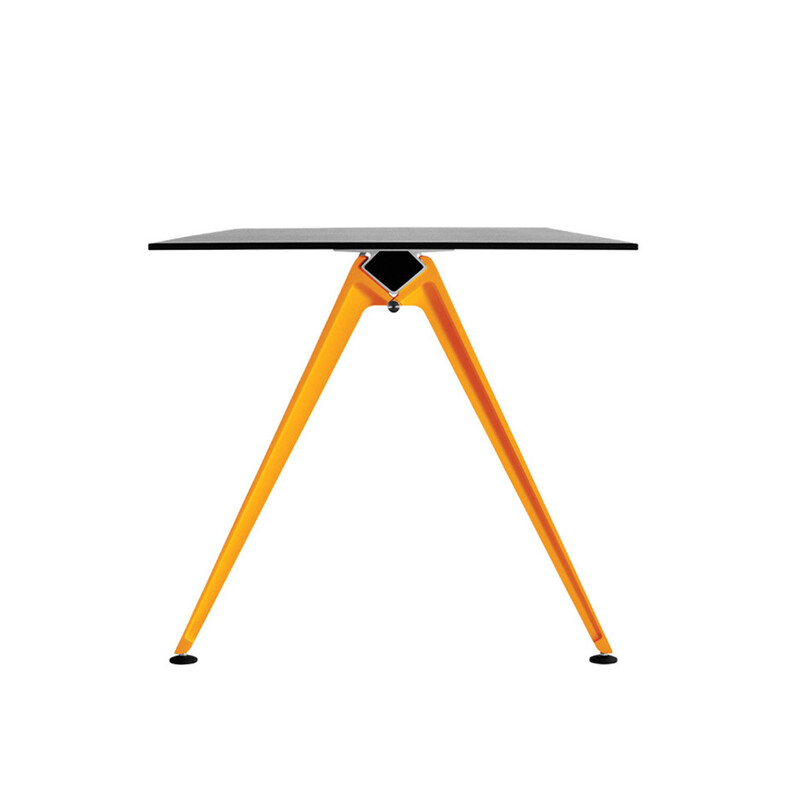 You are requesting a price for the "Grip Meeting Table"
To create a new project and add "Grip Meeting Table" to it please click the button below. 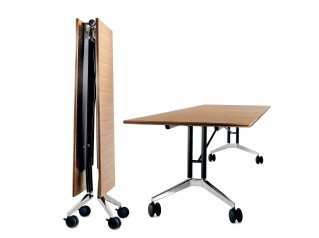 To add "Grip Meeting Table" to an existing project please select below.